Until recently, cryopreservation of two-cell stage or later stage embryos was the predominant method for preserving lines of laboratory rodent models. The methodology is relatively simple and does not require expensive laboratory equipment or a thorough understanding of rodent reproductive biology. 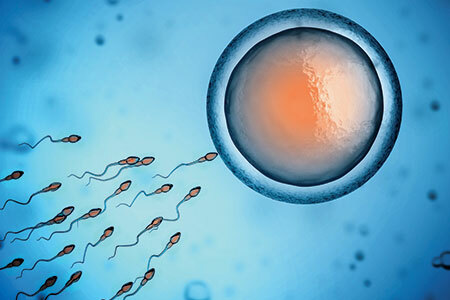 Prior to the advent of in vitro fertilization (IVF), the embryos were usually generated by natural mating, then harvested from the oviduct (two-cell) or uterus (blastocyst) between one and four days after mating. The development of IVF made the generation of the embryos less dependent on natural mating and hence much easier to scale to larger numbers. Still, the cryopreservation methodologies have remained largely the same. For several years, cryopreservation of embryos was the only practical option for securing lines of laboratory rodents. The advent of sperm cryopreservation as a popular alternative, in 1992, provided investigators with an additional option for preservation of modified animal models. Nonetheless, there are certain scenarios where embryo cryopreservation offers certain advantages and therefore remains the better option for archiving genetically engineered rodent models. The main advantage of embryo cryopreservation is that it secures the full, diploid genome of the model. In essence, embryo cryopreservation represents the "freezing down" of animals which would have otherwise been born and perhaps used in studies. This advantage of embryo cryopreservation is especially useful when preservation of the genetic state of a genetically modified line on a mixed genetic background is critical. Another unique application of embryo cryopreservation is during a backcross breeding program, in which embryos from each generation of the backcross can be cryopreserved in the event one wishes to return to a specific generation for further study. Precisely preserves the genetic composition of the breeding colony. Reconstitution of breeding colony simply requires transfer of embryos into host mother. Requires a cohort of 20-30 appropriate age matched donor females. Higher upfront cost than sperm cryopreservation. The two most common methods for embryo cryopreservation are controlled-rate/equilibrium freezing1,3,4 and vitrification/non-equilibrium freezing2,3,4. Controlled-rate freezing typically involves equilibration of embryos in 1-2 M solution of permeable cryoprotective solutions —such as propylene/ethylene glycol, DMSO or glycerol, and then cooling to -35°C or -70°C at a slow and constant cooling rate using a controlled-rate freezer. The straws/vials holding the embryos are plunged into liquid nitrogen for long-term storage. The cryoprotectants used in controlled rate freezing are intended to prevent intracellular crystallization by osmotic dehydration of freezable water, and replacement of intracellular water with cryoprotective solution. The degree of dehydration depends upon the duration of cooling or the temperature reached before plunging the embryos into liquid nitrogen. The type of cryoprotectant and rate of cooling determines how the embryos should be thawed. Typically, embryos cooled to -70°C or below are highly dehydrated and should be thawed slowly to allow complete rehydration of the embryos. In contrast, embryos cooled to -35°C are only moderately dehydrated, and should be thawed more rapidly. A lack of appreciation to these details is often the cause of failure in cryorecovery of the material months and, even years later. The relative nontoxicity of cryoprotective solutions used allows for the handling of large numbers of embryos. Controlled-rate freezing equipment is expensive. Potential damage to embryos due to intra- or extra-cellular crystallization. Vitrification as an alternate method of cryopreservation of biological material was first suggested by Luyet5, but the practical application of this technology was not fully realized until the successful cryopreservation of mouse embryos by vitrification2. Vitrification is typically achieved by placing the embryos in a very high (5-6 M) concentration of cryoprotective solution, followed by rapid cooling (>2,000°C/ minute) in liquid nitrogen. Vitrification relies on the ability of highly concentrated aqueous solutions of cryoprotective agents to supercool to very low temperatures. At sufficiently low temperatures, the solution becomes very viscous so that it solidifies into amorphous glass state without the formation of ice crystals. In contrast to controlled-rate freezing, embryos in this procedure are not equilibrated with the cryoprotectant but are partially dehydrated, therefore vitrification is also referred as a non-equilibrium procedure. Rapid cooling requires rapid warming for recovery of vitrified embryos with high survival rates. Since rapid cooling and warming are critical for survival of the embryos, embryos are typically vitrified in a small volume of cryoprotective solution. Vitrified embryos must be stored under -130°C. Above this temperature, the solution may convert into a crystalline state, which can damage the embryos. To avoid this damage, vitrified embryos must always be stored/handled below -130°C, and thawed very rapidly to avoid crystallization. Does not require any expensive/special equipment. Eliminates chilling injury to the embryos that is characteristic of controlled rate freezing. Both the duration of embryo exposure to the cryoprotective solutions and the temperature of the cryoprotective solutions must be precisely controlled to minimize potentially toxic effects. Requires highly skilled technicians for processing, handling, and storage. Minor process alterations can profoundly effect outcomes. Q: How many embryos are required for effective cryopreservation? The viability of cryopreserved embryos post thaw is determined by a combination of biological (strain/genetic background) and technical (protocol, media quality, technician skill) factors. Regardless of the level of experience and technical skill, some attrition in the recovery of viable embryos at thaw and the number of embryos that will result in live born offspring upon transfer should be expected. In general, one should estimate that 20-25% of frozen thawed embryos will produce live offspring. Therefore, we recommend preserving sufficient embryos to re-establish a given line a few times before an additional cohort of embryos would need to be cryopreserved. In general, this is between 100-300 embryos. Taconic Biosciences cryopreserve 250-300 embryos per rodent model. Q: How long are frozen embryos viable? Biological activity in cells ceases below -130°C. Assuming proper storage in liquid nitrogen, cryopreserved embryos are theoretically viable forever6. Frozen embryos stored in liquid nitrogen tanks exposed to background radiation equivalent to 2000 years had no impact on the survival of embryos at thawing, or their development potential to live offspring6. Mouse embryos have been recovered after cryostorage for more than thirty years. At Taconic, mouse embryos have been successfully recovered after fourteen years of cryostorage. 1. Whittingham, D. G.; Leibo, S. P.; Mazur, P. Survival of mouse embryos frozen to -196 degrees and -269 degrees C. Science 1972, 178 (4059), 411-414. 2. Rall, W. F.; Fahy, G. M. Ice-free cryopreservation of mouse embryos at -196° C by vitrification. Nature 1985, 313 (6003), 573-575. 3. Fray, M. D.; Glenister, P. H.; Rockwood, S.; Kaneko, T.; Nakagata, N. Biological methods for archiving and maintaining mutant laboratory mice In Genetically Engineered Mice Handbook 2005, pp 83-111. 4. Guan, M.; Bogani, D.; Marschall, S.; Raspa, M.; Takeo, T.; Nakagata, N.; Fray, M. Conservation of mouse models through embryo freezing. Current Protocols in Mouse Biology 2014, 205-227. 5. Luyet B. The vitrification of organic colloids and of protoplasm. Biodynamica 1973, 1: 1-14. 6. Glenister, P. H.; Whittingham, D. G.; Lyon, M. F. Further studies on the effect of radiation during the storage of frozen 8-cell mouse embryos at -196 degrees C. J Reprod Fertil. 1984, 70 (1), 229-234.